Once you’ve built your site, the next step is to get visitors to it! You commissioned a super shiny new website – your developer worked diligently for what may have been months, listening to your every instruction as they slowly perfected your online presence. It looks great… and, some months since launch it seems, well… really rather quiet. Many businesses presume that once the website build is complete and it goes live that customers will be able to find them online – yet driving traffic to your online presence is a seriously time-consuming business, and is very much an art form in its own right. 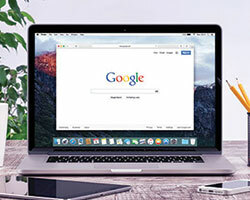 According to E-consultancy ‘61% of consumers will use a search engine to aid product research prior to purchase’ and CNET reveals that each and every day Google processes 500 million searches. Search engines are an essential and significant driver of traffic to websites. It’s clear that if you want traffic, you must focus your efforts on gaining attention from the likes of Google, but how, exactly, do you do this? 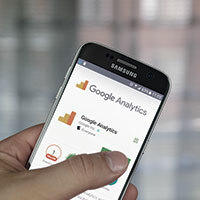 Whilst Google releases relatively vague insight into how they judge the worth of a website, no one understands exactly how search engines value a website. The one thing that is known however is that websites are assessed by both the number of links that they have leading to their website – as well as the quality of these links (which is defined by the perceived reputation of the websites linking in). These links also help the search engines’ ‘spiders’ (more commonly known as programs) crawl through your website; whilst doing so they’ll effectively remember key pieces of information – such as the keywords you’ve used in your page (which are then compared against the terms that people are searching for in order to serve up relevant results). You can gain some initial links through places such as online directories (including Yell.com, Google Places, Cylex UK and FreeIndex), as well as from blogs and forums through commenting. That said, links from the latter two forms of websites should be paid due care and attention. These have historically been abused by Spammers, and the potential of damaging the potential of your website’s position is far greater than the possibility of a boost (you can find out more on Google’s official stance on this via their guidelines). Of far more value, compared to any of these options, are links in from fellow industry leaders, experts and relevant websites. The question then is how you seek out these juicy links – for which, we move on to point two. Requesting links from those who can influence your target market and boost your website position can be time-consuming and overly frustrating. Yet the one golden rule of content is that if you truly create material that is invaluable to your audience, then naturally the links will follow. A prime example of this is the blog post you’re reading right now – this item continues to climb in rankings purely because it serves a real and useful purpose to its readership. Whilst we began this piece by stating that search engines deliver significant amounts of traffic, research suggests that social media referrals are now driving more of the overall referrals and traffic from social networks is far more likely to be ‘warmer’ than the cold customer who arrives from the search engines, with little to no knowledge of your brand. What’s more, search engines are placing more and more weight upon the social media presences that are linked to the websites that they can potentially serve up to eager searchers. Whilst social media strategy is far too in-depth a topic to cover in this point alone, the take away here is to undertake a concerted effort to craft a social media strategy that gets people talking, engaged with your brand and arriving at your website. Submitting your website to the search engines is a way to ‘tell’ Google, Bing and others of your website’s existence. However, in recent years submitting to search engines has increasingly lost its importance – and some experts have stopped recommending it all together. 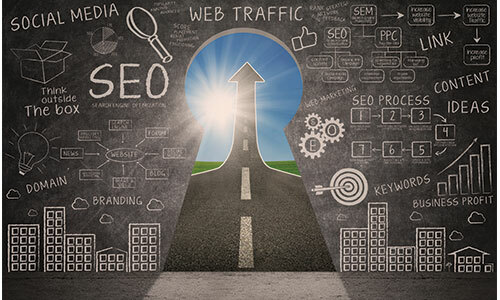 However, given the little that is officially known as to what helps rankings, there’s no harm in submitting your website – it may provide for an SEO boost, but if it doesn’t, it certainly won’t harm your ranking. Here are the links if you wish to submit your website: Google – powers AOL, Netscape etc. Once on your website, every visitor has the potential to impact your future search engine rankings. Why? Because search engines effectively ‘track’ what users do when they click on that blue link and arrive at your door. Metrics such as average page visit duration are key to search engines learning about whether or not they’ve done well in presenting a useful link, with a further vital metric being the Click-Through rates that your listings enjoy (represented as a percentage of the people who went on to visit your website after seeing you turn up in the search results). Bonus tip: It’s also an essential to ensure that your website presence is mobile friendly (if you’re not sure, you can check using Google’s ‘Mobile Friendly Test Tool’). Nothing in business life comes easy – least of all conquering the often slippery slopes of the most influential of search engines. It takes time, dedication and research that goes far beyond this basic introduction to SEO.